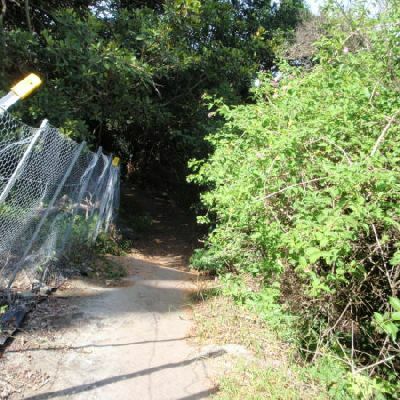 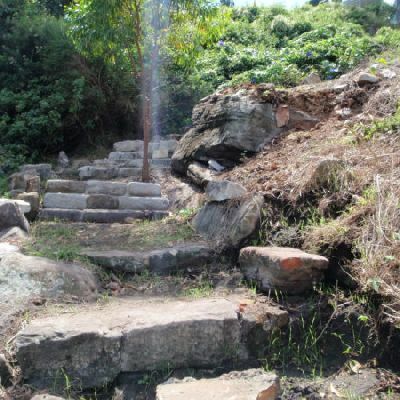 This image is near the Bottom of Queens Rd Track. 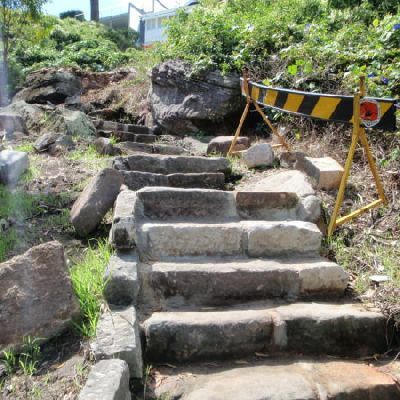 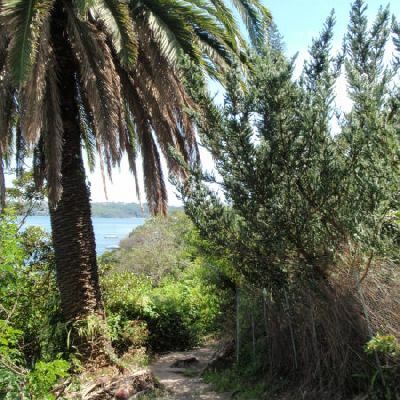 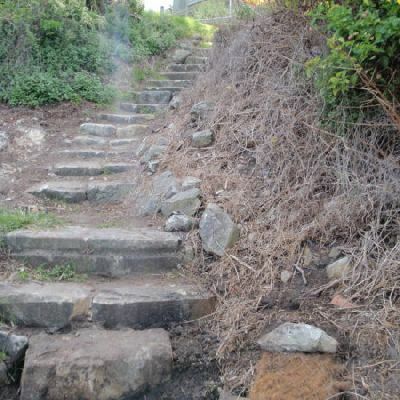 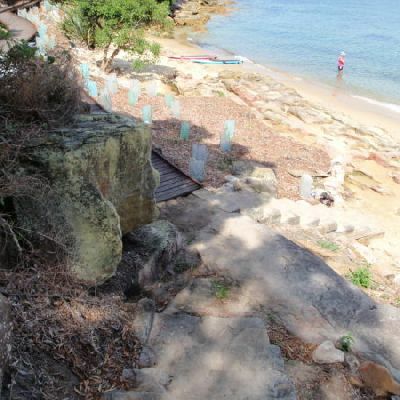 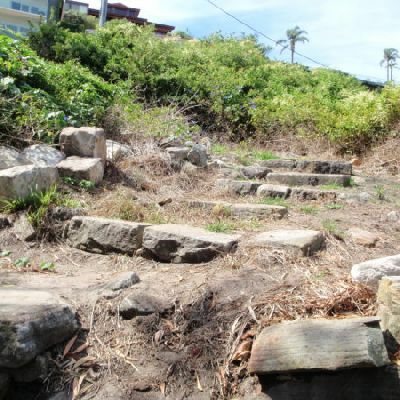 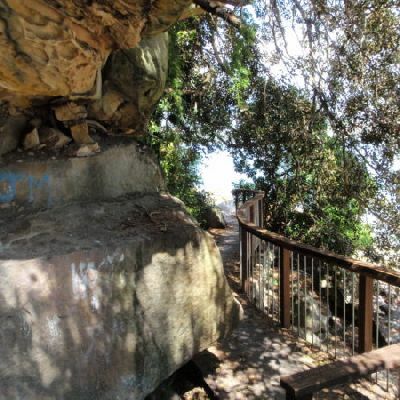 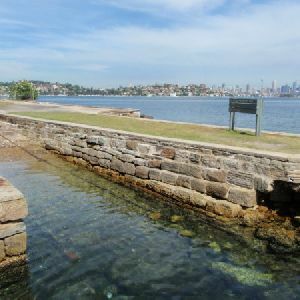 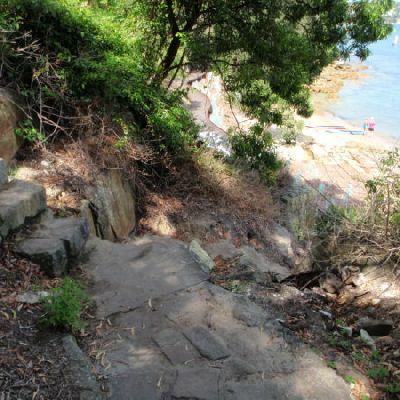 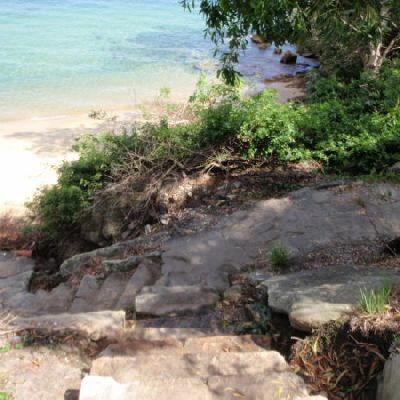 This short walk follows a set of sandstone steps from the narrow streets of Vaucluse to the small, isolated Queens Beach on Sydney Harbour. 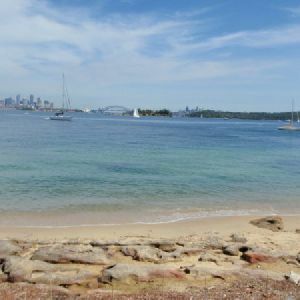 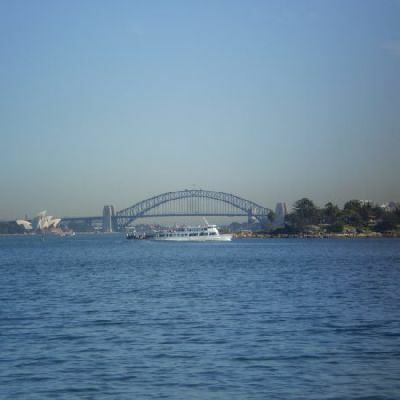 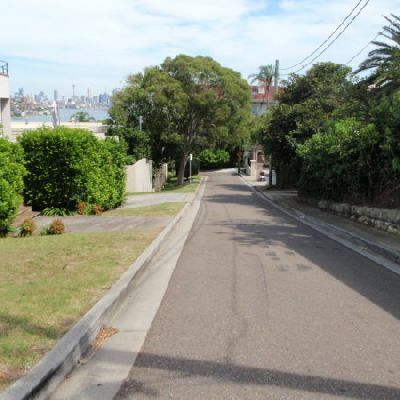 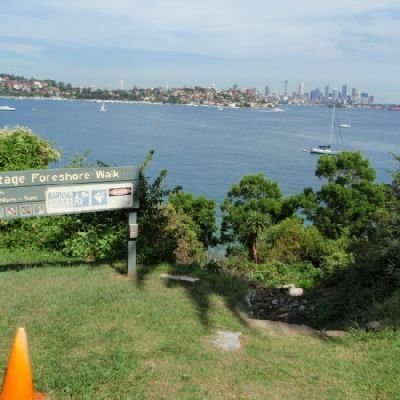 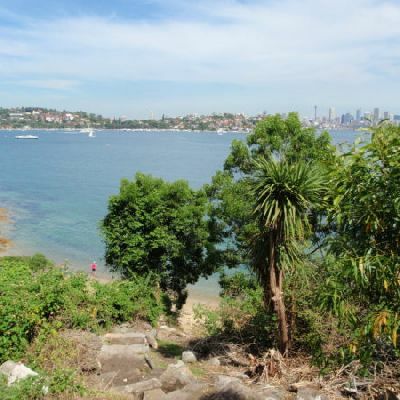 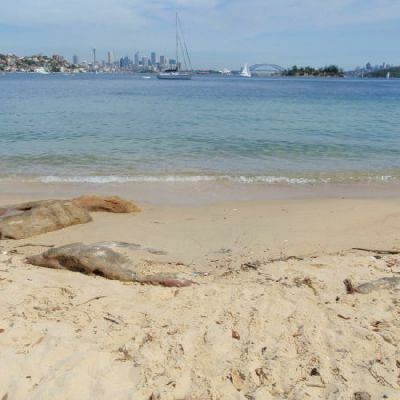 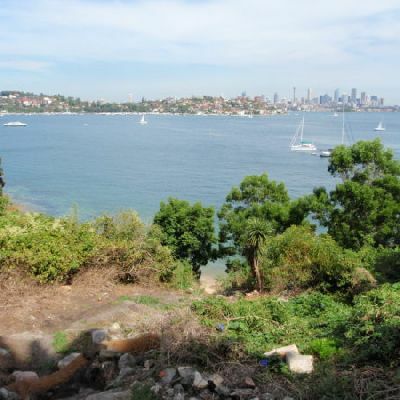 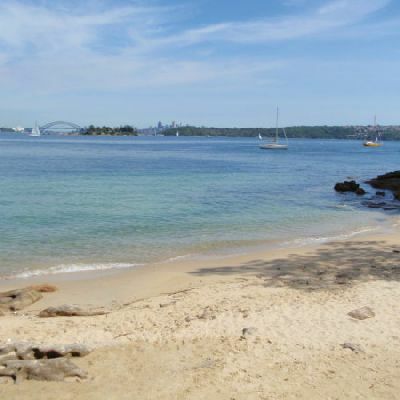 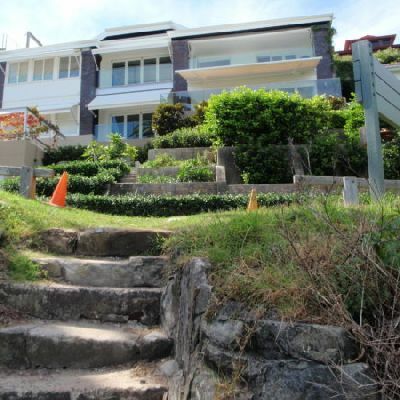 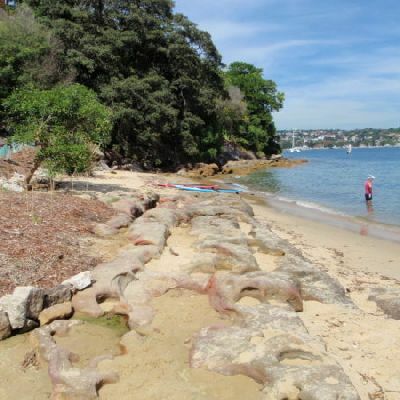 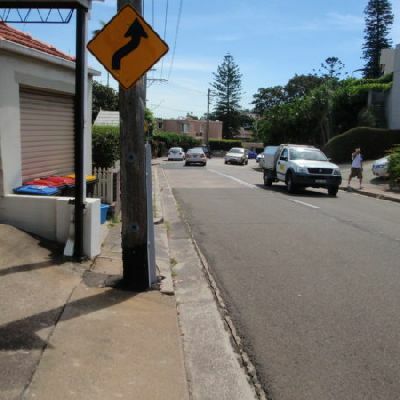 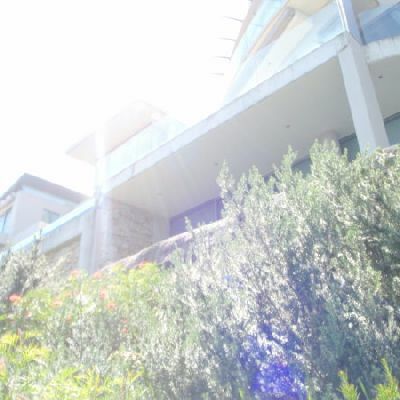 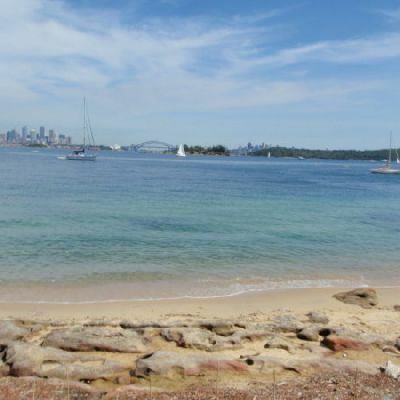 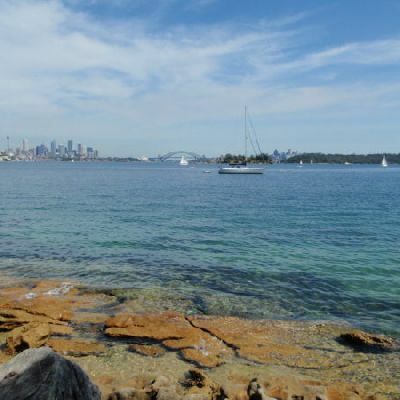 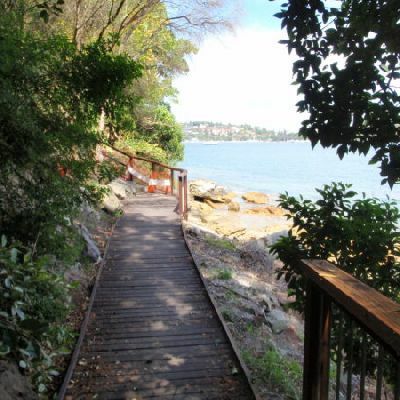 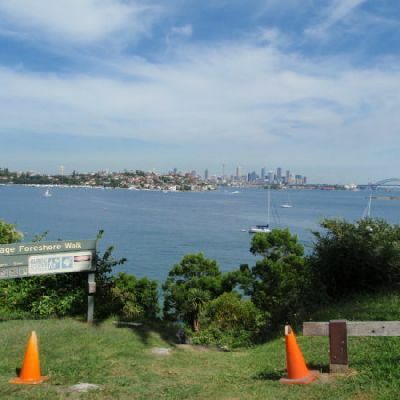 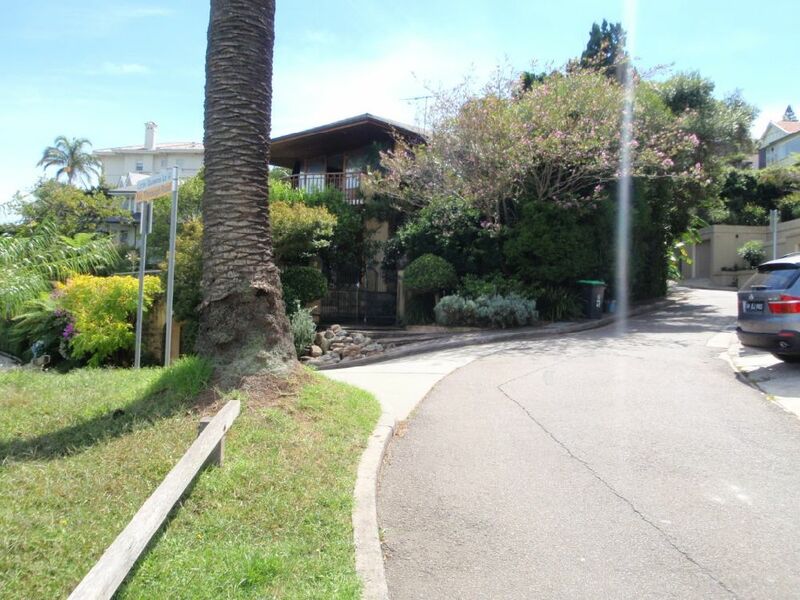 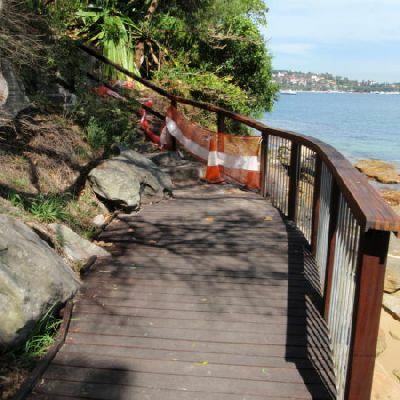 The beach has great views across the top of Rose Bay to the city and Sydney Harbour Bridge. 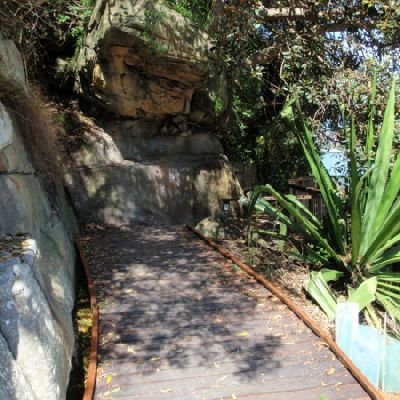 A great place to wet the toes and enjoy a peaceful lunch by the water. 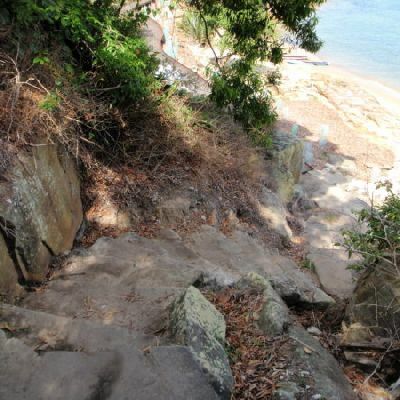 Although the walk is short, the only flat section is on the beach. 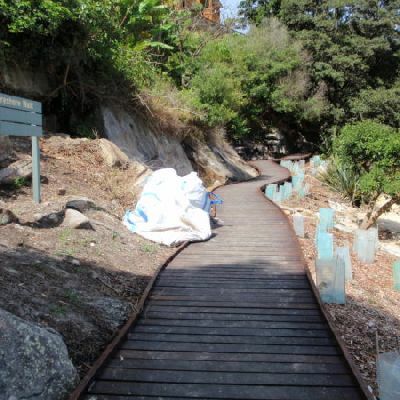 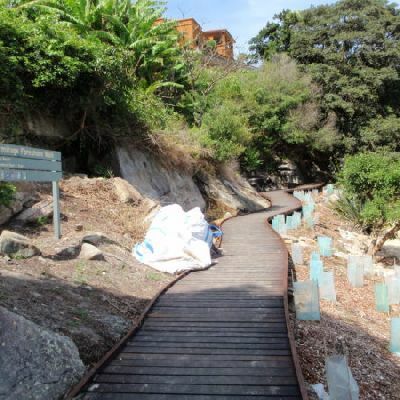 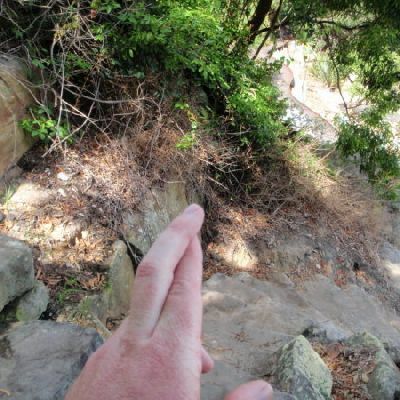 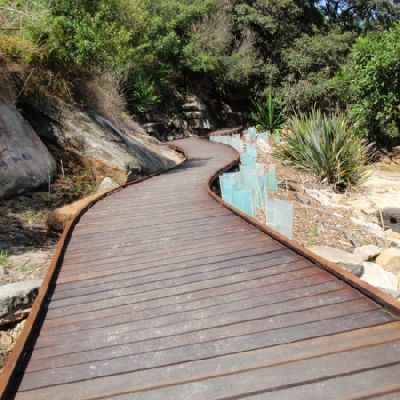 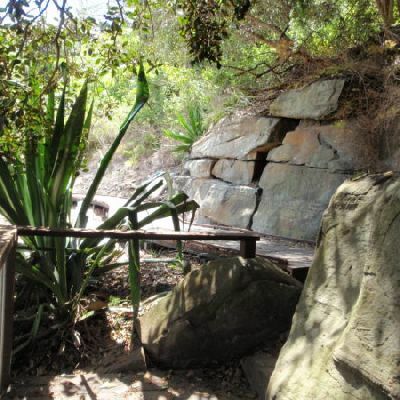 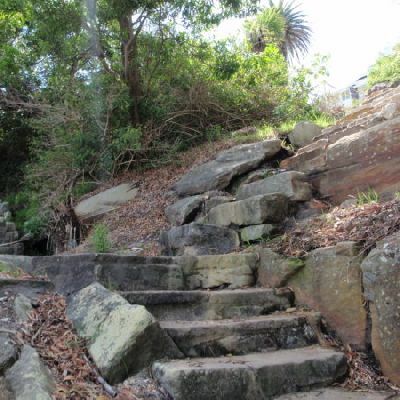 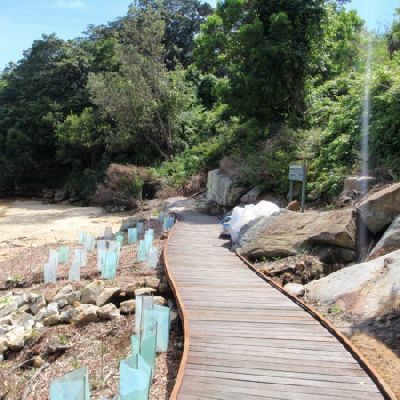 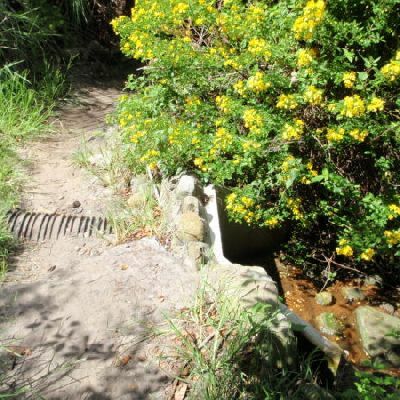 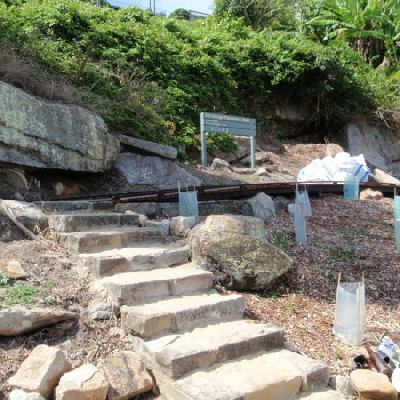 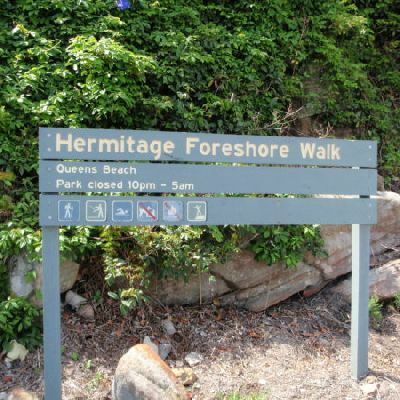 This short walk explores a memorable section of the Hermitage Foreshore Walk. 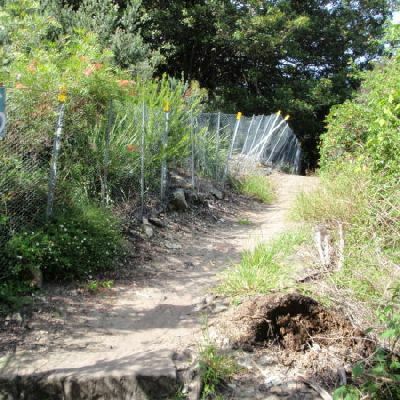 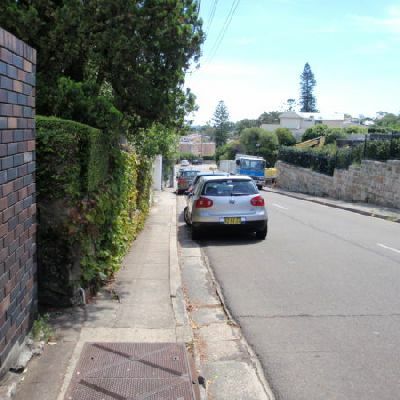 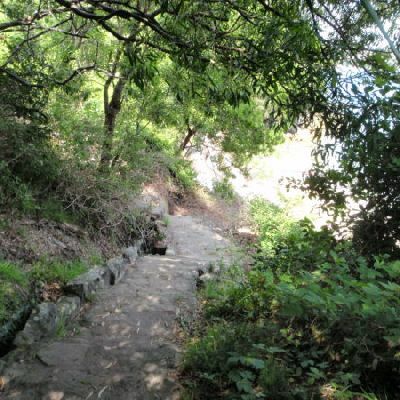 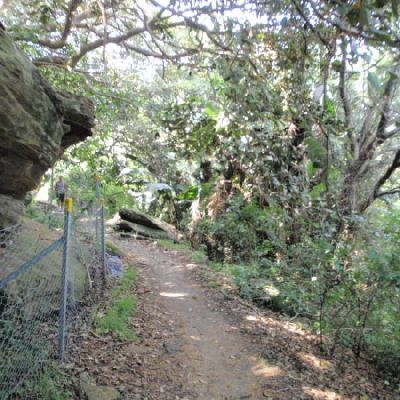 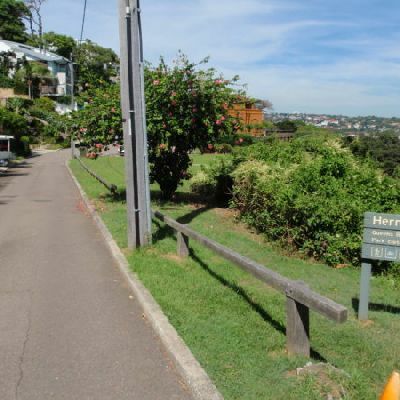 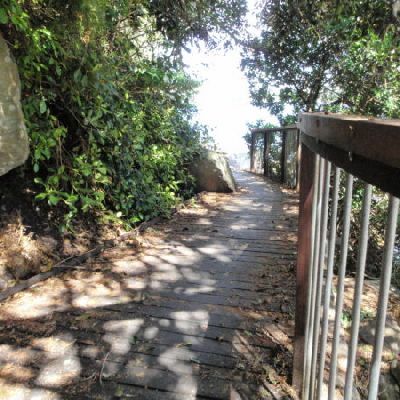 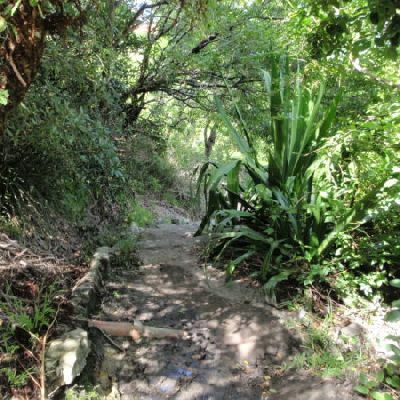 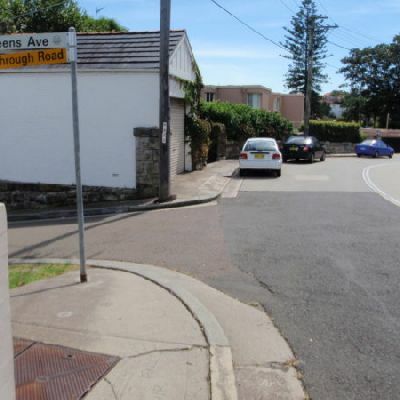 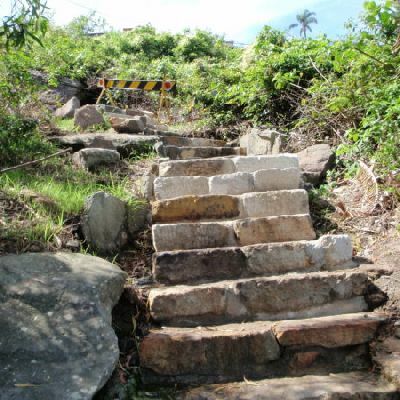 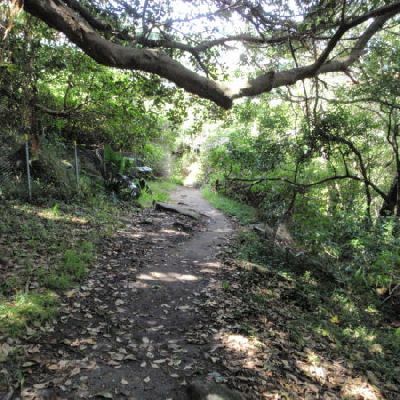 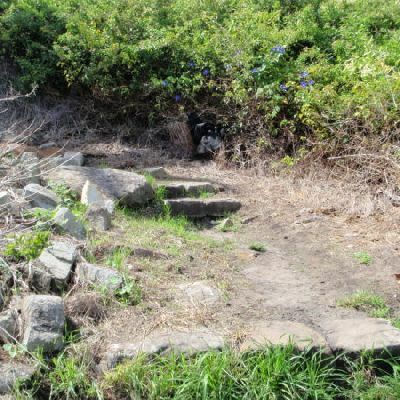 Starting from Queens Ave, this walk heads down the fairly steep stone steps and enjoys a short side trip to Queens Beach. 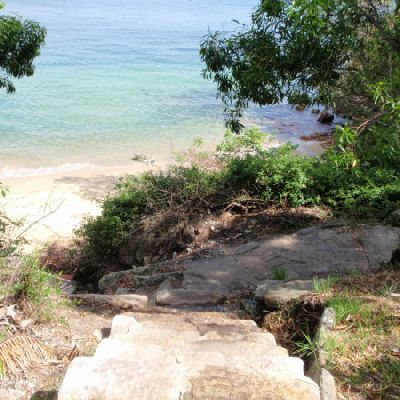 From the beach, this walk heads back up the steps a short way, then follows the main walk around to Hermit Point. 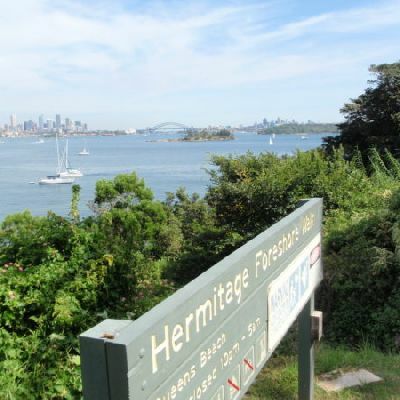 Hermit Point is a great place for a picnic and to enjoy the water views. 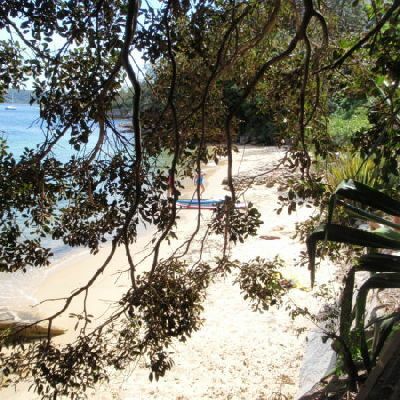 There is access to the water, natural shade, and picnic tables. 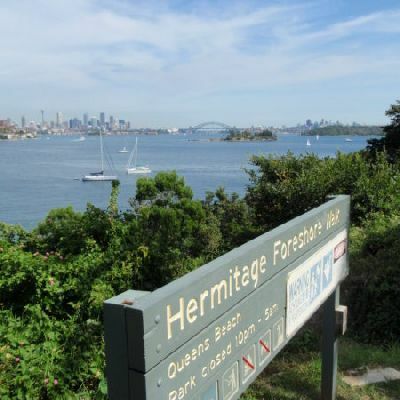 A short walk with great harbour views.